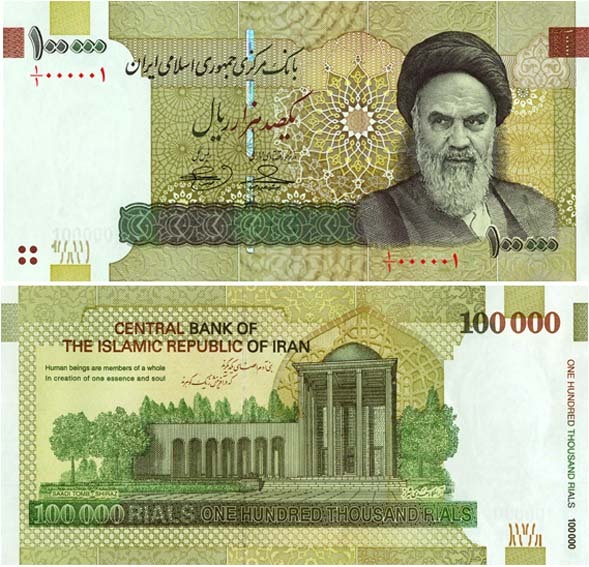 Traveling to Iran will be a lot easier if you gain some information about Iranian currency. Having two currency makes Iranian tourists confusing in their payments and cost accounting. Iranian official currency is Rial which is also known as IRR, but in daily payments people mostly use Tomans as main circulation money and purchasing in Iran! 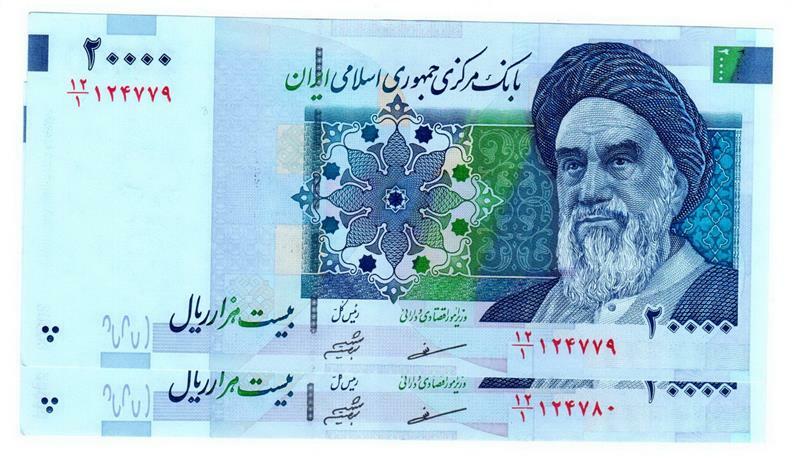 Cash and coin are in Iranian Rial for changing the rate to Iranian Toman they ignore one zero. Toman is one tenth of Rial, for example, 2,000 Tomans is 20,000 Rials. Sometimes people do not mention thousand or million. For example, If you buy a handmade Persian rug or a golden jewelry costs 3 Tomans, definitely it means 3 Million Tomans or 30 Million Rials and when you pay for snacks and it costs 3 Tomans, you should pay 3 Thousand Tomans or 30 Thousand Rials. How to Exchange Money in Iran? Dollar, Euro and Pound can be exchanged to Rial in Iran easily in Banks and Exchange offices, called Sarafi. This offices have trained employees ready to be at your service, they are experienced and pretty trustful, and the best thing about currency exchange shops in Iran is that they do fast exchanging! So you don’t have to change your currency before your travel, almost all Airports, Hotels and all official currency exchange shops will do currency transaction, especially if your money is frequently used in the world and Iranian tourism system, like US Dollars and Euro. Be aware of the official Iranian currency prices in the market. Currency rate of Dollar, Euro and etc. in the Iranian currency market is different from the official rate. The Iranian rate of exchange is changing day to day and even hourly according to Iran economic system and politic relations, a little information from our friendly agent would help you to find the best way to exchange your currency into Rial. You can exchange your Iranian money, Rial to Dollar and Euro and another currencies also in Iran Currency Exchange Centers at the end of your tour. You can simply use ex.com and its Free App to have the online exchange calculation system relying the amount of your money. This site is using updated data, but you shall search a little about the market rate to have the exact result, or our online Friendly Agent helps you out in finding best and low cost exchanges in Iran. Ex.com have also a travel expenses calculator which is very useful, click here to try it. In case you want to buy an expensive souvenir and you don’t have the whole amount, you can absolutely use DHL service to have it in your hometown and we will help you with the payment in your country. The only condition is to pay an earnest money, depending on your product between 20 percent of the whole price, and we will do the rest process when you are back at home. We highly recommend you to bring all the money you need in cash, because there are no Credit card system or ATM available in Iran. ATM machines are only available for local Iranian Credit Card, it’s very safe and simple and is frequently used in all shops. So why not to have one? Friendly Iran offers Iranian credit Cards for tourists and travelers, contact our Friendly agent to know more. How much does it take to exchange money in Iran? In Iran money exchange centers, transforming your money from foreign currency to Rial will take only a few minutes, 15 minutes at most. In Iranian Banks exchanging money to Rial will take more time. How can I get an Iranian Credit Card? Contact our Online Friendly agent to simply get an Iranian Credit Card and use ATM during your Trip in Iran. Are there any international bank with international withdrawal services? YES, Iran National Bank (Bank-e Meli) offers Tourist Cards and with this card, Travelers can withdraw money in some specific condition. There are some other types of cards which tourists can have them and are easier, ask our Friendly agent to know about them. How much money can I take to Iran? 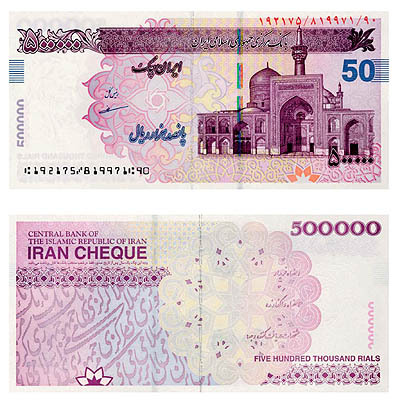 Importing Iranian currency to Iran, for tourists who are visiting is up to 500,000 IRR (Iran Rials), or its equivalent in other currencies. How much money can I take out of Iran? You can take 5000 dollars in cash or its equivalent in foreign currencies out of Iran. More than this amount is only with Bank services and similar money transporting companies possible. For More Information about usual costs in Iran, such as Flight, Train tickets, bus tickets and renting a car, Hotels and Tours, you can use FriendlyIran or contact our online friendly agent.